The title song, 'Better Friends' (From A Distance) is a emotionally driven, cruel yet honest offering, which is upbeat, with lots of electrifying twists. It has brilliant structure and melodies, with strong raw vocals and well written lyrics. 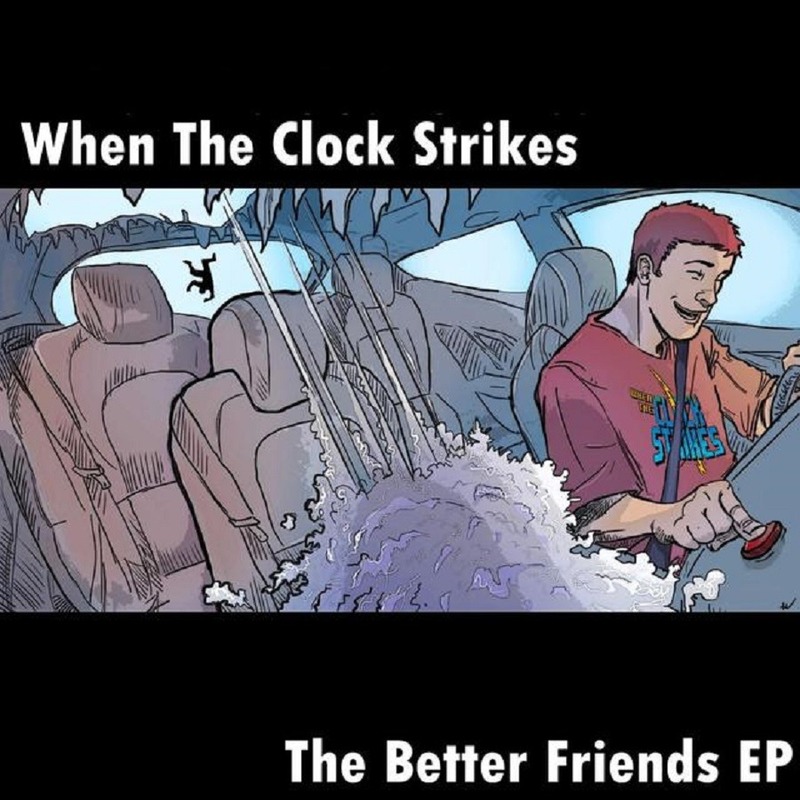 Unlike their 'friends', make sure this song is readily available at all times! 'Fair Weather' opens on a slick bass intro, before crashing drums and strong vocals accompany, and then dives straight into what could be the most memorable riff, paying homage to surf punk sounds. It will be sure to get you moving, with its infectious blissfully brutal sound. 'Redemption' further highlights the bands talents and musicianship skills, delivering a well composed layered affair; again proving that they have no shortage of energy and can readily and seamlessly churn out a instant fun hit. To end this forceful EP, we get to see their video game influences come to fruition in a remix of the title track, which definitely captures a game vibe, making it very enjoyable and fitting way to end this blazing short lived but deeply branded release! This EP is very addictive, with their shimmering alt punk, that manages to be positive yet raw and harsh in the same measure, with high energy distinct instruments and fast frantic edgy vocals. Their bleak reality regarding their loved ones, is refreshing and straightforward, in a great sense. They have really captured the greatest traits of emo/pop punk from the mid 2000s and slammed it with a up to date rock sound, that seems to flow naturally to them. It may be a short EP, but it will make a massive impact that you will crave more off, so until the release more music, stick this on repeat! !